Heads up folks! This is a great deal! 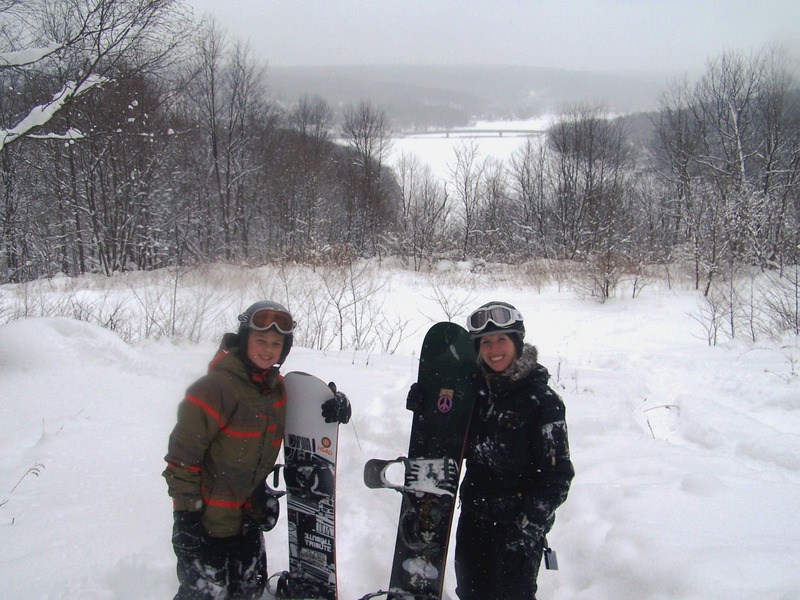 Wisp Resort is on a mission to make 17.18 winter season affordable for the whole family! Accept the mission and join us for the best deal in the Mid-Atlantic! Passes ONLY $249 for Adults, Millennials, Students & Seniors! Deep Creek winter events 2017 include lots of favorite festivals and happenings that celebrate the season and offer something for everyone. Wisp’s FREE live music events happen every Friday through the end of February from 6:30-9PM in Wispers Bar. The Subaru WinterFest team will be at Wisp Resort with music, prizes, fun activities, and the latest news from Subaru! Renovation project began in the fall of 2015 and will continue through spring of 2018. As part of a three-year $3.7 million-dollar renovation, wisp Resort recently announced a rebranding of the Wisp Resort Hotel which will be known as The Lodge at Wisp. The renovation project on the hotel began in the fall of 2015 and will continue through spring of 2018. The Lodge at Wisp will welcome guests with significant changes and improvements to both the interior and exterior of the property. The upgrade will offer more contemporary accommodations, new outdoor Gathering spaces, and overall more modern and functional designs. Work on the 169-room slope side hotel has totaled more than 1.5 million so far. A new entrance features a porte cochere with an outdoor gas fireplace and timber frame structure with stacked stone facade and lighting. The landscaping is highlighted by a waterfall, benches and day pergola walkway. Interior renovations include an updated front desk and check-in area to compliment the new entrance. The 100-rooms on all six floors in the tower section of the hotel have been renovated, and 16 new king Suites have been introduced into the guest room mix. The remaining 69 rooms on three floors in the lodge section of the hotel will be renovated by Spring 2018. Additional upgrades are being made to conference rooms, a new fitness center, exterior signage, courtyards with fire pits and enhanced landscape features. Construction on the current project will be completed in time for the ski season. Work will continue in the spring on a courtyard on east side of the hotel plus renovations to the lobby and the new front porch. 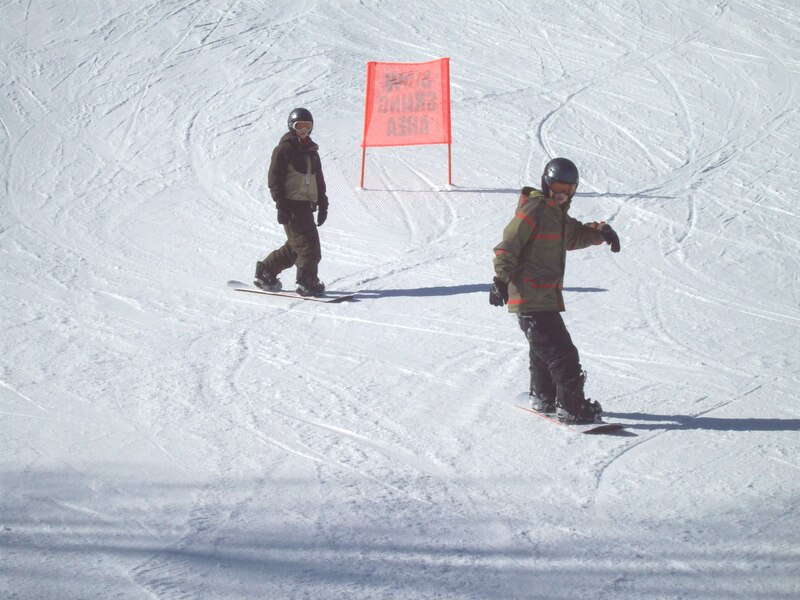 For more information about the upgrades call Wisp Resort, call 301-387-4000 or visit www.wispresort.com. Wisp Resort is fighting the good fight, bobbing and weaving around the weather in hopes of punching out enough snow to get the resort open. They have been making snow for the last few days, shutting down snow making efforts today around 11am when the temperatures and humidity got too high. The plan was to be open by Friday, but with a warm up in the forecast next week that could all change. The cold temperatures are a necessity for making light champagne powder, but humidity also plays a valuable role in the process. If there is too much humidity, it makes a very heavy/wet/dense snow that is not great for skiing and also clogs the snowmaking machines. Now is the time to get your tickets to Dutch’s New Year’s Eve Celebration. A portion of the proceeds will benefit HART for Animals Adoption Center Fund. Last year this was a sold out event. Bobby Nicholas provides excellent entertainment and the food is always exquisite. Today, I reflect on a wonderful winter that I’ve had here at Deep Creek Lake and all the wonderful adventures that came my way. I finally put down my old-school 10-year old parallel skis and stepped into a set of modern shape skis and had a go on perfect powder at Wisp Resort. I can’t believe that I went this long without experiencing the amazing engineering and control that this has brought to my skiing. As always, Devils Drop is my go-to slope when I want to carve through the trees and experience that “out west” feeling that Wisp can give you in certain areas of the mountain. I have also had a lot of “first time” experiences this winter which has me buzzing more than my norm with excitement over other winter activities. Since I was a very young girl, I have always loved ice skating and thankfully I had the opportunity to put the skates on again at Wisp’s Ice Rink this winter. I felt exhilarated gliding across the ice with a bonfire roaring along the outside of the ice rink and dozens of people sharing the experience. Make no mistake about it; my absolute new favorite sport is snowmobiling! For years I have heard from my local friends how they routinely drive their “sleds” across the lake; the safety net in my mind always spoke to me when I would hear this wondering “if these folks were a little short of common sense? !” The old question, “Why would you jump out of a perfectly good plane?” comes to mind as I contemplate driving over frozen Deep Creek Lake waters. I mean, there are plenty of trails around the county on perfectly solid ground that would serve as a safer outlet for me and this sport. The fact is that the lake is impeccably safe after it gets 6+ inches of ice buildup and it’s strong as solid ground when it gets 15+ inches, as it was when I when crossed it for the first time. I’ll never forget the rush of just casting aside my fears and hitting the throttle wide open launching straight across the center of the lake. The change in perspective in viewing the lake in the winter from the middle looking inward while racing at 100mph is something you have to experience to understand. It’s cool because you can cover 60-70 miles around the lake in a very small amount of time and the sights you see are some that many life-long residents have never and will never see. I urge you to put it on your list of things to experience here in Garrett County. I feel fortunate every morning I wake up and relish every experience that is available throughout all the wonderful seasons we are blessed with here. Deep Creek Lake Wisp Resort Winter Sports. Okay folks; get your minds centered at the task at hand. Feel the cold winter, accept the cold winter, love the cold winter! After you get in the winter spirit, turn your focus toward Deep Creek Lake and Wisp Resort and get ready for the winter sports to begin. 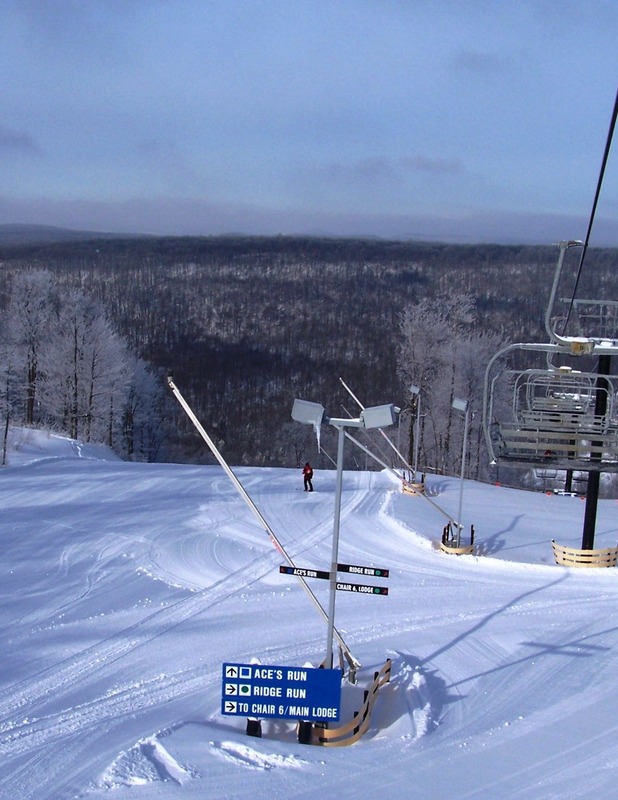 We have had steady flow of snowfall for the last week and conditions are improving at Wisp Resort. Wisp has had the snowmaking canons firing around the clock for the last couple of weeks to ensure that they have a solid base of snow to get the season started. As I look out my window from Long and Foster across the lake, my vision of the ski slopes is impaired because of the amount of snow we are getting at the moment. It is forecasted to keep coming down for the next few days, and then on and off for the next 10 days. 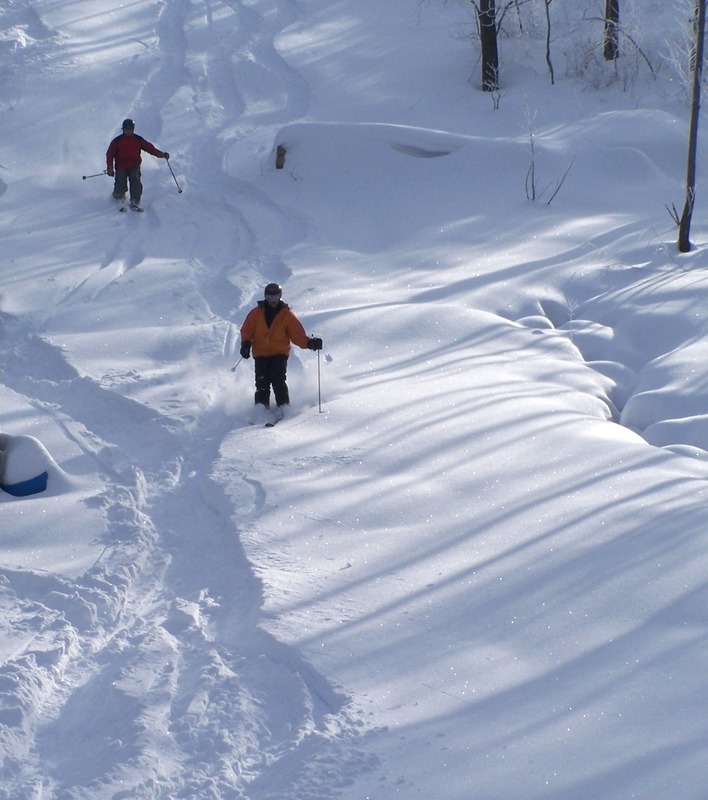 Load up the car and the family, set your GPS for Wisp Resort and spend the next couple of weeks of the holiday season enjoying impressive powder. See you on the slopes. I have heard a lot of chatter from people on the East Coast and a lot of the country who are voicing their desires for springtime to blossom tomorrow (if possible!) with the wave of a magic wand. Here in Deep Creek Lake we had 36 to 40 inches this past weekend with another 20 inches coming in the next couple of days. My love for winter activities segregates me to a different perception of cold snowy winters, and I could tell by the sea of smiles I encountered this weekend that I am not alone. The amount of snow we are receiving here in Deep Creek Lake and the quality of powder that we have seen makes it all too difficult to throw in the towel for the winter season. I know there are some “powder junkies” like myself that look at a big winter snow storm in the same light as a surfer sees a hurricane and its potential for bringing a large clean swell or in our case, some fresh powder. You won’t be disappointed if you make it to Garrett County from your hometowns this weekend (some of who are still digging out from the last storm last weekend). Rest assured that the roads here are masterfully manicured and most of all safe to bring your family for a visit. I see the snow starting to fall this morning and I’m already getting excited about getting a couple of quick powder runs in tomorrow morning before work. Be one of the many who get out of the gates early and come chase the fresh snow during our self proclaimed “powder hour” and make sure you get your fill of fun before spring does officially take over. Deep Creek Lake Winter Extension. Well the groundhog has extended our winter season, which is fine by me considering I have not had my fill of snowboarding this year. Wisp Resort was jam-packed this weekend with happy skiers and snowboarders. The talk among the local winter sports enthusiasts is that it has been some of the best snow that we have had in decades. The recipe for that perfect champagne powder is cold temperatures, low humidity, and snow, snow, SNOW. This is something we have had plenty of. Bring your family to Deep Creek Lake and come join us and the winter extension. See you on the slopes!